What’s next after commercial interior design certification? How does the political process work? How can I help? Find out at the Utah Advocacy Forum. The Utah Advocacy Forum is an opportunity for all Utah interior designers to learn about the current law, the advocacy basics, and how you can help share your profession through advocacy. Speakers will include representatives from IIDA Headquarters and ASID National to give a national perspective to Utah’s unique political climate. 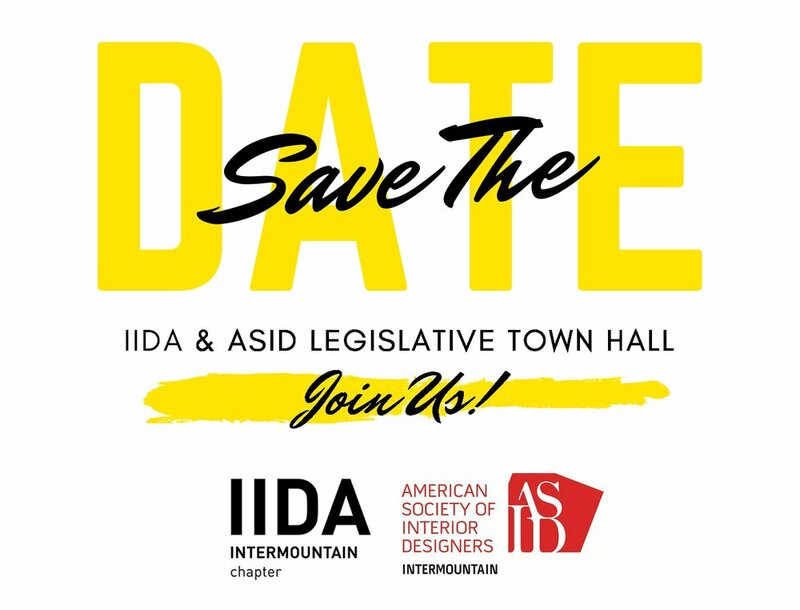 Please join us for a discussion and update on the legislative happenings affecting the interior design profession in Utah, as well as future goals. We will discuss, have Q&A sessions, and be updated by our lobbyist, Amy Coombs, as well as our IIDA Advocacy and Public Policy team and Rachel McGreevy, ASID Consultant. Please show your support for our profession and learn more about the past, current and future happenings!